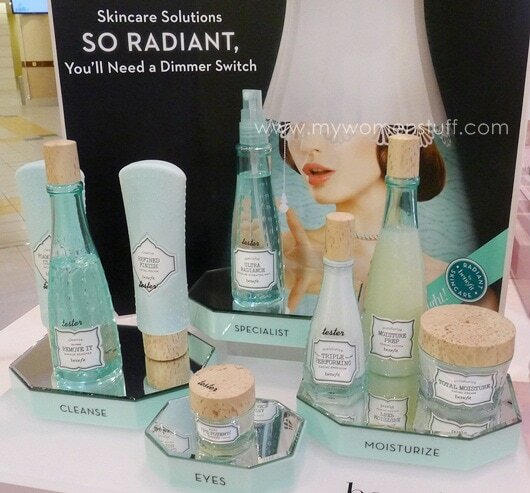 Benefit Cosmetics fans would have noticed this new display at the Benefit Cosmetics’ counter. You would also have read all the rumblings internationally about the launch of the new Benefit b.right Radiant skincare which is Benefit’s first skincare line. Its been available here for about a month so far. Anyway, I was offered some little samples of 3 products to try which I did over the course of a week or so and I will quickly have my thoughts on them below. Before that however, I must confess to really liking the faux cork look of the caps used in the packaging. It looks so olde worlde and harkens back to a time when cosmetics probably did come in bottles and tubs stoppered with cork. Now we’ve gotten that out of the way, let me tell you quickly what I think about the Foamingly Clean Facial Wash, Triple Performing Facial Emulsion SPF15 and Its Potent! Eye Cream. In the past month or so, I’d been on a bit of a skin brightening binge. I had a touch of sun before that and I wanted to get my skintone evened out again. 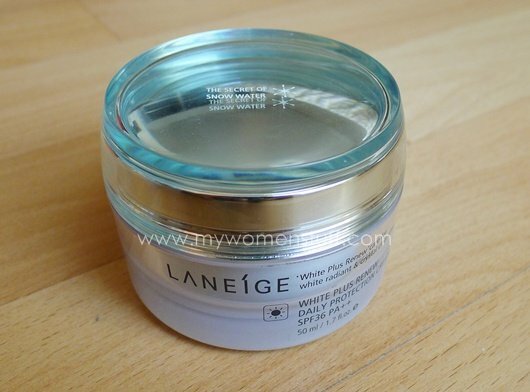 I’d told you what I’d been using in the day (Laneige White Plus Renew Daily Protection Cream) and here’s what I was using at night. They are both from different brands, but the functions are the same i.e. whitening/brightening so the ultimate aim would also be the same. 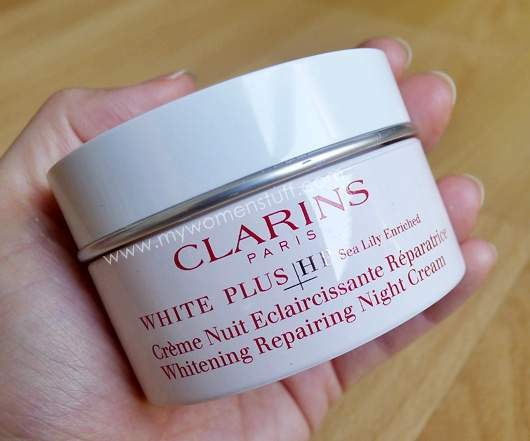 I must tell you that I’d tried a sample of the Clarins White Plus HP night cream from last year and I did not like that one. I actually found that terribly drying on my skin. Most whitening products do tend to be drying, if you notice. But that one hit it out of the ballpark. This new formulation however, isn’t. Thank goodness! This year, Clarins not only formulated their White Plus HP Night Cream with Sea Lily Extract, they included Daisy extract to control and slow down the production of melanin at night and to combat the stresses and UV effects of the day. I’ll just quickly tell you how it went for me. 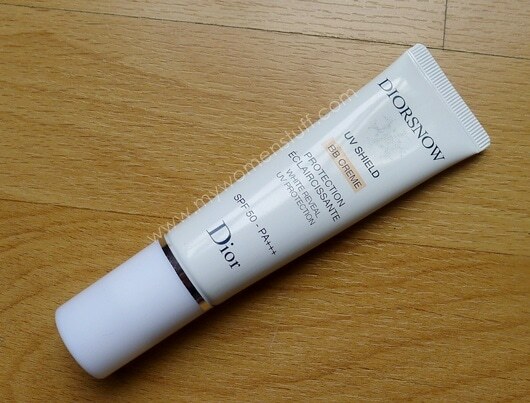 The Dior Diorsnow BB Creme is not a figment of my imagination! On 1 April, I held a chit-chat session and I showed you a picture of the Diorsnow UV Shield BB Creme with SPF50 PA+++ Apparently, some thought it might be an April Fool’s joke 🙂 Dior coming out with a BB Creme? Not likely right? Looks like the luxury brands aren’t sparing the BB Cream hype. Dior has placed their BB Cream, or as they would have it “BB Creme” together with their Diorsnow sunscreen range. The regular Diorsnow Sublissime UV sunscreen did not work out for me before, so I was a little worried as to whether I’d break out. I was also worried as to whether it might be too oily, too light/dark and too thick – some of the reasons I dislike using BB Creams. 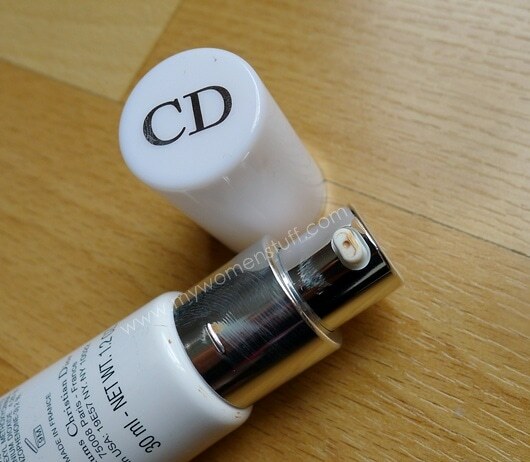 Sorry for the messy pump, but this is the mechanism of the Diorsnow BB Cream – a pump on a tube. The tube at 30ml is rather small but unlike my problem with Etude House BB Cream, I faced no problems using this pump mechanism. It was smooth and pumped out a sizeable enough amount each time. I only use 1 pump for my face, since BB Creams do look better with a light layer on. I’ve got a colour swatch below, since this product comes in only 1 colour.